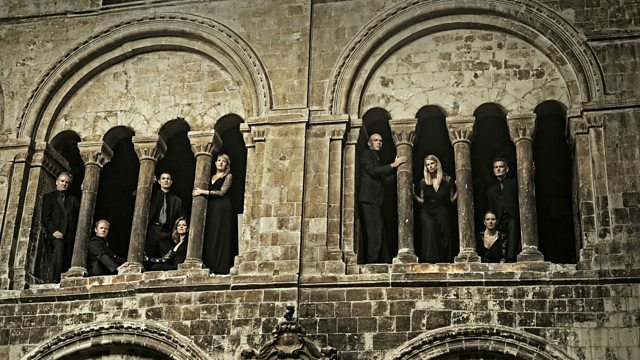 Tenebrae Consort perform folk songs from around the world. Pianist Finghin Collins discusses the connections between John Field and Seamus Heaney. Tenebrae Consort under the direction of Nigel Short perform folk songs from around the world arranged by Bob Chilcott. Recorded at Portico in Portaferry. Ahead of his performance at Seamus Heaney HomePlace, pianist Finghin Collins sheds some light on the connections between the famous poet and composer John Field. Simone Gramaglia, viola player with the Cremona Quartet, on how getting four typically individualistic Italians to play together in a string quartet is no mean feat. Chamber Choir Ireland kick off the the 2017 edition of the Belfast Music Society International Festival of Chamber Music with a concert that features Tarik O'Regan's A Letter of Rights. The choir's Chief Executive Majella Hollywood tells John how the piece marks 800 years since the Magna Carta arrived in Ireland. Music Makers features Belfast-born conductor Courtney Lewis, Music Director of the Jacksonville Symphony in Florida. John's classical connection celebrates composer and conductor Sir Hamilton Harty, who died on this day in 1941. Performer: Royal Philharmonic Orchestra. Performer: Jonathan Carney. Performer: Ulster Orchestra. Performer: Bryden Thomson. Music Arranger: Harty. Performer: Orchestra of Rome Opera House. Performer: Francesco Molinari‐Pradelli. Performer: Nicolai Gedda. Performer: Cleveland Orchestra. Performer: George Szell. Performer: Martin Fröst. Performer: Royal Stockholm Philharmonic Orchestra. Music Arranger: Göran Fröst. Performer: Albrecht Mayer. Performer: Kammerakademie Potsdam. Performer: Ulster Orchestra. Performer: Bryden Thomson. Performer: Malcolm Binns. Performer: Ulster Orchestra. Performer: Bryden Thomson.